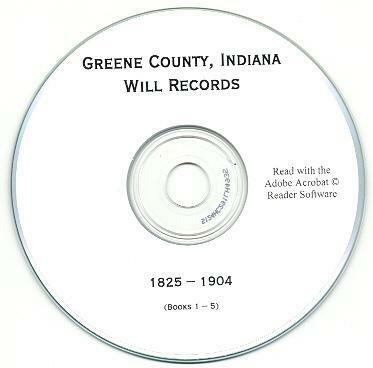 A transcription of the Greene County, Indiana Records of Wills for 1825 - 1904, (Will Books 1 - 5). 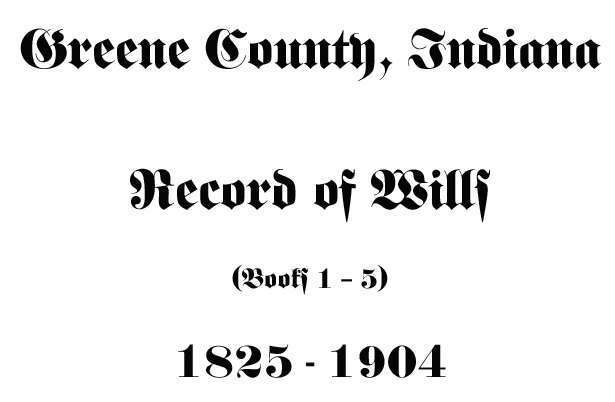 It is filled with data about various Greene County, Indiana residents that filed wills at the Courthouse in Bloomfield between 1825 and 1904. Please note: This is not a paper book, it is a scan of the original paper book into the digital Adobe PDF format, written on a CD-ROM. You read this book on your computer using the free Adobe Reader software. It is a digital version of a hard to find book. If you could find a copy of the 1904 printed book, it would be very expensive. The transcript has 177 typewritten pages. 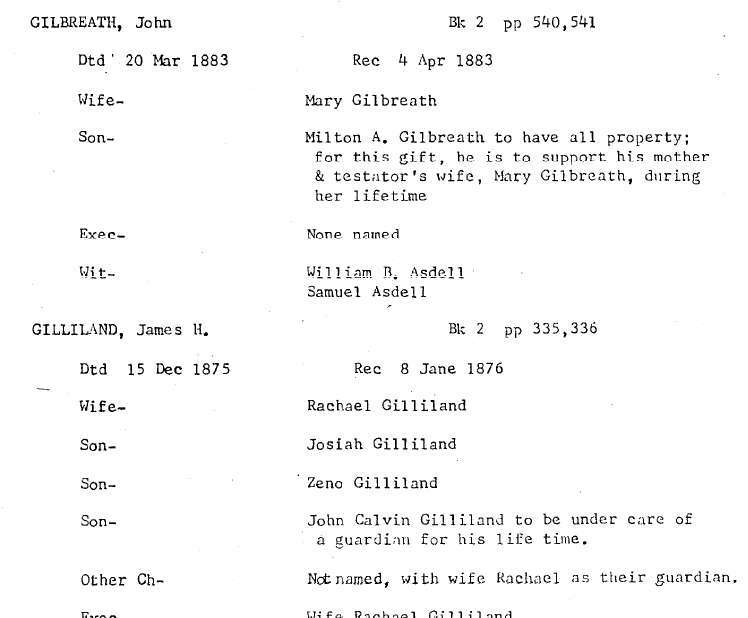 There are multiple entries for some surnames - single entries for others - each entry usually lists the will book & page, the date filed, the heirs & what they get, the executors and witnesses, and other data (please see the sample image). Please note: This is a scan of the original transcript converted to Adobe PDF format and written on a CD-ROM.